BANGOR, MAINE - Husson announced today that it has entered into an agreement with the Bangor Region Chamber of Commerce to provide all of the employees of their member organizations, who enroll in any of the University’s Master of Business Administration (MBA) programs, with a 10 percent tuition discount. 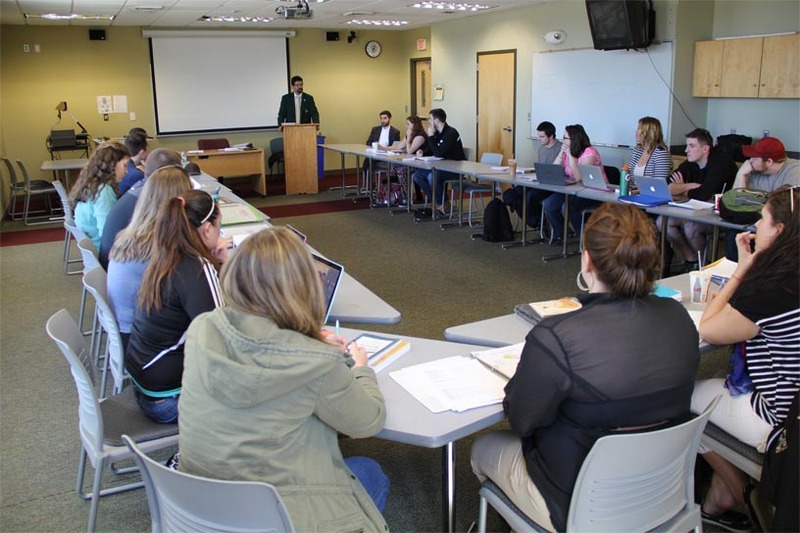 The 10 percent reduction in tuition costs applies to all of Husson University’s MBA programs. These include the traditional Master of Business Administration (MBA) degree with a general/corporate focus and Husson MBA programs with concentrations in biotechnology and innovation, data analytics, healthcare management, hospitality management, organizational management and risk management. Those who follow the admissions procedures to become graduate students at Husson University will also receive a $50 application fee waiver. Any employees of the Bangor Region Chamber of Commerce membership who have completed a bachelor’s degree from a recognized, accredited institution, are eligible to enroll in Husson’s MBA program. This includes individuals who have completed bachelor’s degrees in disciplines other than business. To assist these students, Husson will offer a leveling course or courses that can be taken online. This will provide these students with the background business education they’ll need to successfully complete their MBA studies. In addition, any Chamber members’ employees who have completed some graduate coursework, are welcome to apply for transfer credit. Individuals interested in applying transfer credits to their MBA program should contact Husson University Graduate Admissions by calling them at (207) 404-5661 or emailing them at graduateschool@husson.edu. They are also more than happy to answer any other questions individuals may have about this program and the admissions process.